I will bind up your wounds and heal you, says the LORD, for I will do much more than console you. I will go beyond sympathy. I will heal your wounds and remove the scar tissue. I will take the ugly remembrances and reminders away as I heal your broken heart and fractured life. Instead of pain, I will give you pleasure in My presence. Instead of sorrow, I will fill you with new joy! You will have abundant peace rather than massive turmoil. I will enrich you and put an end to your sorrow of heart, says the LORD. I will give you a new song, and a new sound will emerge from you of praise and thanksgiving, says the LORD. You will not be moaning and groaning, weeping and crying, for I will wipe away your tears, remove the cup of trembling out of your hand and give it into the hand of your enemies. You will drink the new wine that I pour out to you and have unspeakable joy. You will rejoice and be exceedingly glad as you become exuberantly joyous and dance before me with all your might. For the days of your mourning will be over as the dawning of the new day has begun, says the LORD. Amein! !so be it unto me!! Yes and Amen thank you for Your New! Hallelujah My Lord! Praise Your Holy Name! Amen! Father thank You! 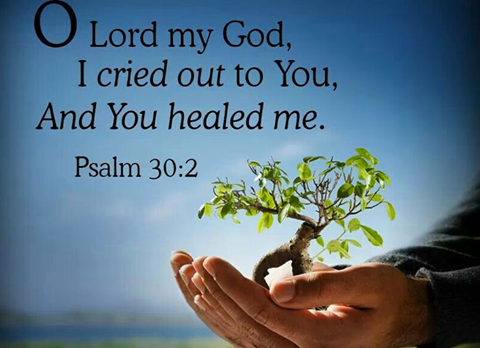 You are so good to your children the way You heal us thru your Holy Spirit and in your son Jesus we get hurt our need something you heal us and protect us and provide for us! Thank you Father! Thank you God! I praise You! I love this word. God is good all the time. Just what I needed to see .how much believe and have seen this.this is why my josh and family with the lord is ok.